The subcompact SUV segment is expected to really take off this year, and two of the highest-volume new entries are likely to be the 2015 Chevrolet Trax and the 2015 Jeep Renegade. Offered by all-American brands, they’re smaller than their “compact” siblings, the Chevy Equinox and Jeep Cherokee, respectively. But they offer two very different approaches to designing, packaging, and equipping the smallest all-wheel-drive utility vehicles you can buy from each carmaker. While the 2015 Trax has Chevy design cues at the front end, it’s otherwise almost the generic small SUV. It’s not bad, just bland. The littlest Jeep, on the other hand, uses oversized design flourishes–big headlights, big wheel arches, numerous Jeep logos–to underscore its toughness even in a small package, to the point where it’s almost cartoonish. Both vehicles are impressive inside, however, with comfortable seats, quiet rides on decent pavement, and a roster of the latest infotainment and electronic safety systems that would have been seen only in luxury cars not so many years ago. Neither of these vehicles is likely to be used off-road all that much, with the possible exception of the Renegade’s toughest Trailhawk model, so they’re tuned for on-road finesse and comfort. Each comes as a base model with front-wheel drive, and offers all-wheel drive as an option. The Chevy Trax has only a single powertrain: a 1.4-liter turbocharged four-cylinder engine, making 138 horsepower and paired to a six-speed automatic transmission. The Jeep Renegade, on the other hand, has two powertrains: its own 1.4-liter turbo four, putting out a stronger 160 hp, but mated only to a six-speed manual gearbox, or a 180-hp 2.4-liter four paired with a nine-speed automatic transmission. Both Jeep powertrains offer all-wheel drive as an option. The Chevy is adequately powered, but not particularly quick; the Jeep is more powerful, but also heavier, and Fiat Chrysler’s engineers seem to have tamed their temperamental nine-speed automatic at last. We found the manual-gearbox Jeep more fun to drive and lighter on its toes, but in reality, most buyers will opt for the automatic. Fuel economy ratings for the Trax are 29 mpg combined for the front-wheel-drive version, dropping to 27 mpg if you add all-wheel drive. Final ratings for the Jeep aren’t out yet. The two small utes differ quite a lot in their packaging, however. Rather to our surprise, the Chevy Trax can hold four adult-sized people in reasonable comfort. Five is a very tight squeeze, and rear-seat riders will have to stagger their shoulders, but it’s definitely possible. The Jeep Renegade, on the other hand, has a smaller rear compartment that’s tight on knee room, and fitting four adults into its cabin will require negotiations to get the folks up front to sacrifice some of their own legroom. 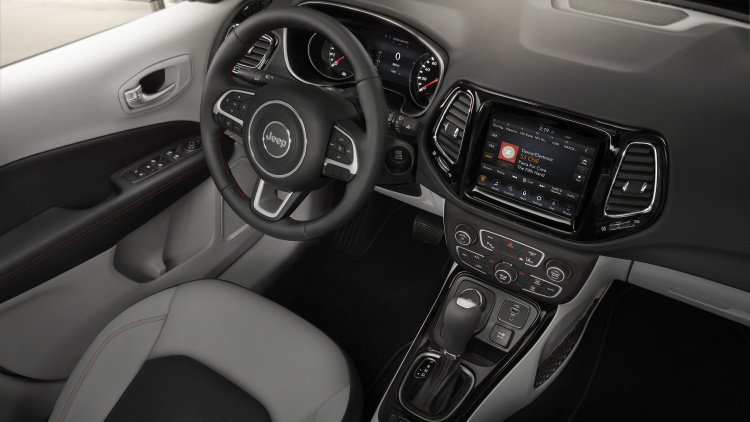 The Jeep’s interior conveys ruggedness in its materials, shapes, and surfaces, while the Chevy is straightforward, practical, and adopts a number of clever convenience features from the Sonic subcompact on which it’s based. The Trax in particular has lots of trays, bins, cupholders, and the like to hold your gear. Both have front seats that can fold flat to carry long items diagonally. Chevrolet has achieved top safety ratings for the Trax from the Insurance Institute for Highway Safety (IIHS), which designated it a Top Safety Pick. It also earned five out of five stars overall from the National Highway Traffic Safety Administration (NHTSA), which gave it five stars in every category except rollover safety, where it received four stars. The Jeep Renegade hasn’t yet been rated by either group, though we expect it to get acceptable ratings at the very least. In the end, both the 2015 Chevy Trax and the 2015 Jeep Renegade ended up with identical scores in our ranking system. The Jeep wins on styling and performance, the Chevy on features and safety. 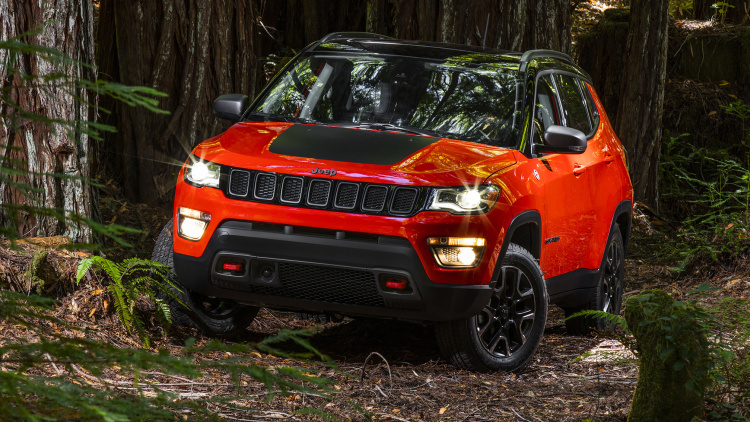 If rear-seat room is more important than styling panache, the Chevy is your choice; if toughness and design flair, plus optional off-roading ability (in the form of the Trailhawk model) are high on your list, the Jeep is it. Either one is a modern and capable small utility that competes handily with any competitors of similar size. Both face a formidable challenge from the 2016 Honda HR-V, however. The Jeep sales reported yesterday may not have been as dramatic as they were last year, but they were definitely noteworthy. Last month’s 21.1% growth compared to April 2014 is impressive considering last year’s sales were up 51.6%. That means Jeep sales have risen 82.0% in two years. Jeep repeated as the top-selling SUV brand in America, easily blowing by Ford, which reported an all-time record for SUV and crossover sales. Jeep was over 9,000 sales ahead of Ford’s best. The Ford Edge set a new April sales record, which was beaten by the Cherokee, Wrangler and Grand Cherokee. The Cherokee and Wrangler also outsold the Ford Explorer and the Grand Cherokee was just 555 sales behind. April Jeep sales volume gave the brand the largest increase in market share of any brand sold in the U.S. as it set another all-time sales record. Jeep has set records in every month since November of 2013. The Cherokee, Wrangler and Grand Cherokee were all in the SUV Top 10 in April and for the first four months of 2015. The Cherokee and Wrangler also made the Top 10 among all light trucks in April as the Cherokee set an all-time sales record and the Wrangler set a new April record. Ram also made the Top Ten list for trucks and the Top 10 for all vehicles. The Ram pickup added another month as the No. 3 best-selling vehicle in the U.S. The Chrysler 200 made the April passenger car Top 10, coming in at No. 9. It was the third-best-selling American-badged car in April, outselling the Ford Focus. It was also the third-best-selling Chrysler Group brand vehicle after the Ram and the Cherokee. It edged the Wrangler out by one sale. The Chrysler 300, despite a drop in deliveries, remained the best-selling American-badged upscale sedan in the U.S. It outsold its rivals from Buick, Cadillac and Lincoln in April. The Dodge Challenger was just 138 sales behind the Chevrolet Camaro in April.